Manchester United will face a baptism of fire at Old Trafford on Wednesday evening as they entertain Arsenal in the Premier League. After Arsenal beat Tottenham Hotspur 4-2 on Sunday, this is a match where the Gunners will be full of confidence, with a note in the back of their minds about previous encounters at the Theatre of Dreams. This is a match which many United supporters are not looking forward to, others are excited as it might mean the beginning of the end for parts of the club. This season has been nothing but a disaster so far. It could get better and it needs to, but it will not end in glory. Too much has happened in a short time which would rely on the teams ahead of United in the Premier League table suffering a total capitulation and that is not something that will happen on the scale that would be needed. Perhaps the owners of the club will see how their ownership is panning out? The mentality of taking what you can from the club will end in the club not being there anymore. The Spanish goalkeeper really must be lauded for putting in the effort, of which some of his teammates are not able to 100% say the same. The defence seems to be clueless which adds more work for the player and at the time whereby he’s in a position where he can sign his future away at a club that will not contend for anything or whether he finds a club that can fulfil his ambition, which seems not to be United, at this moment in time anyway. United’s defence is problematic right now. Victor Lindelof is on the sidelines through injury and Eric Bailly, Chris Smalling, Antonio Valencia, Matteo Darmian and even Luke Shaw are doubts for this game. It literally leaves Diogo Dalot, Phil Jones, and Marcos Rojo as the fully fit players and only two of them are experienced in the Premier League. I would expect Dalot, Jones, and Rojo to play and despite Shaw being a doubt, I think he will play for the Red Devils. There are problems which need to be solved in United’s midfield. Nemanja Matic looks knackered and in need of a rest, which does not bode too well for the Festive period of matches, as it is likely he will not get the rest he clearly needs. I think the Serbian will play in his usual defensive midfield position. Adding Fred and Andreas Pereira, who has been left out of United’s team recently, could add another dimension to the midfield, which is needed if United are going to turn this negative run of form around. The Frenchman played in the same position against Southampton on Saturday but was largely lacklustre. He lost possession 25 times, most of the time not putting in much effort, which is worrying. Jose Mourinho reportedly stated that Pogba was a virus in his team, in the dressing room at St Mary’s with Pogba throwing back a comment about the negative tactics, of which he had a point about. Perhaps the shackles will be off and United can play progressive football. They really need to be progressive, now more than ever. 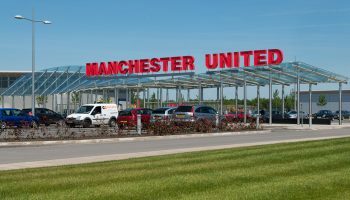 Playing two forwards is something that could work the magic for United, although it cuts at least one wide player out of the team, meaning United will need to rely on width from the fullbacks, which recently has not been all that great. Romelu Lukaku ended his goal drought against Southampton, after playing 982 minutes between goals. Anthony Martial did not start against the Saints, which could mean he starts against Arsenal, especially with Marcus Rashford one of the many doubts ahead of this must-win match. Tactical Preview: Manchester United out to overcome Fenerbahce after Anfield disappointment?